Grinton How Mill is the best preserved Smelt Mill in the Yorkshire Dales National Park. There have been alterations and damage to the buildings over the last century. 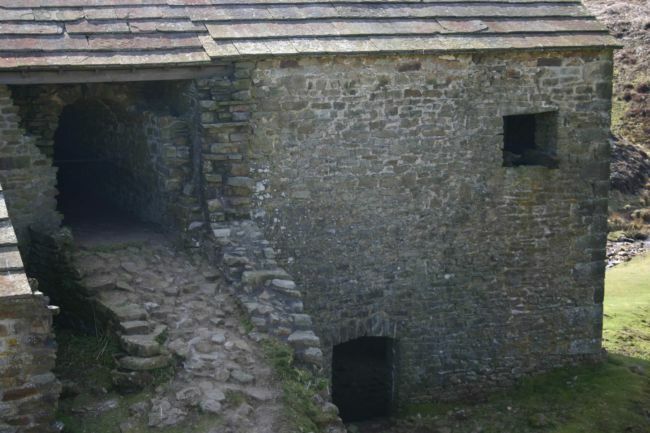 Stone has been removed from the smelting hearths and in the centre of the building a sheep dip was installed by local farmers who used the derelict building for other purposes. In 1973 the buildings and flue were listed as Buildings of Special Architectural or Historical Interest to protect them from further deliberate damage or alteration and in 1975 they were designated a scheduled ancient monument which attracted funding for some restoration work, including a new roof. 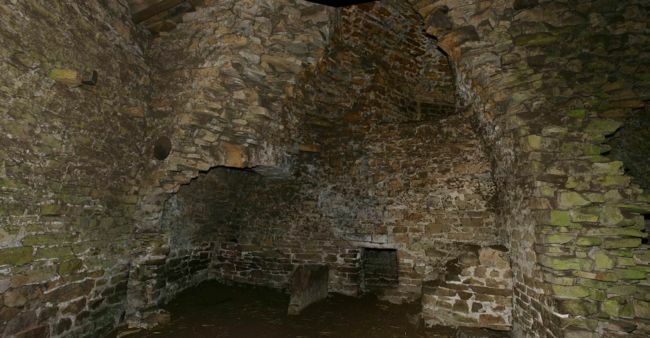 Within the building are the remains of two hearths which have square holes (tuyère holes) to allow air from massive bellows to support combustion and large flue exits to allow fumes to escape. In the other half of the building there are the remains (4.2m above the ground) of a wooden channel which supplied water to drive a large water wheel, (probably about 6m in diameter) which is unfortunately no longer present. Present however, is the massive timber bellows frame (at least 4m high) which housed enormous bellows (unfortunately no longer there). 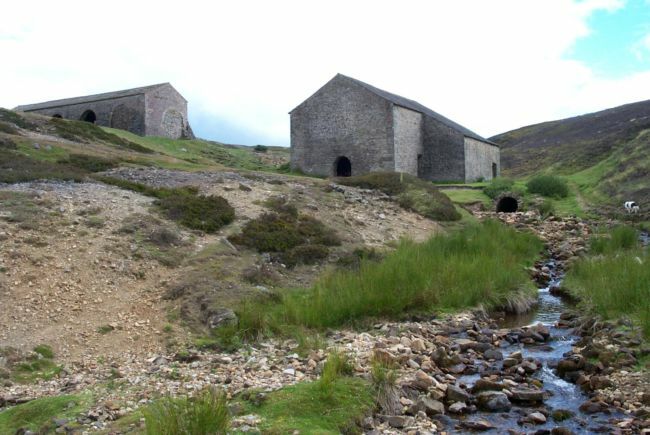 Watch a video tour of Grinton Smelt Mill. 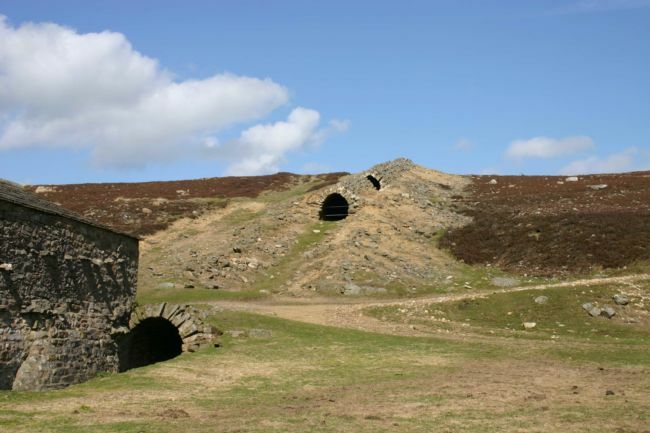 For a complete description of the Mill buildings and their known history The Northern Mine Research Society monograph 51 is recommended.